Despite a high degree of opposition, Google is defending its net neutrality proposal co-authored with broadband and wireless provider Verizon. The search giant on Thursday issued counterarguments on six points (Google calls them myths) that the company believes have been misunderstood about its proposal. Google says the proposed framework defends net neutrality, would protect the current Internet we enjoy today, and is definitely not about writing legislation from the boardroom. Let's take a look at the highlights from Google's defense. Google says its proposal has not sold out the fundamental concept of net neutrality. The idea that an Internet provider should not be allowed to restrict Web data traffic based on the traffic's contents. "No other company is working as tirelessly [as Google] for an open Internet," the company's statement says. Google goes on to explain how it felt compelled to negotiate a framework with Verizon, because of the stagnant political situation in Washington. The company then said the proposal has "key enforceable protections" for users, which is better than having no protection at all. The problem is it's unclear whether the Google-Verizon proposal really would protect users. The proposal leaves wireless networks out of net neutrality regulation entirely. The agreement would also create a two-tiered Internet with a net neutral public Internet (the World Wide Web we use today), and a private non-neutral Internet for premium services that could be packaged similarly to cable television. Given the financial incentives from wireless and the private Internet, it's unclear whether the public Internet would survive under this system. Google says its proposal would not eliminate network neutrality over wireless cellular networks. The company believes the proposal's transparency rules that force companies to publicly report wireless traffic management policies would ensure providers played fair. Google also stuck to its belief that the wireless market is competitive enough that it doesn't warrant net neutrality regulation. "Network and device openness is now beginning to take off as a significant business model in this [the wireless] space," Google says. I'm not really sure what Google means when it says openness is taking off in the wireless market. Perhaps the company is referring to the fact that you can buy a variety of devices like the iPhone or any number of Android devices that are permanently locked to one carrier. Maybe it's the idea that all four major cellular providers are often criticized for their high early termination fees, device exclusivity contracts that cut out smaller vendors, uniform text messaging costs or other sneaky fees that tend to sneak up on users. Google also says that managing a wireless network is different from a wired broadband network since Internet traffic sent over airwaves is less robust than its cabled counterpart. The regular Internet is not going anywhere, Google says. The Google-Verizon framework puts several safeguards in place to make sure the current Internet stays the way it is, according to the search giant. The proposal would force broadband providers to comply with "consumer protection and nondiscrimination standards" before offering private Internet services. Private services must also be "distinguishable in purpose and scope" from what you get on the regular Internet. Finally, the FCC would be able to intervene and prevent carriers from reducing public Internet broadband capacity. That last point sounds nice, but what about the first two? What exactly will those "nondiscrimination standards" be? How will they be defined to ensure fair play? Google also says the private services are supposed to be different "in purpose and scope" from what you can get on the regular Internet. Google points to several examples of these new services such as gaming channels, home health monitoring, or more secure banking. The problem with this idea is that, as author Jeff Jarvis recently pointed out, it sounds like the private Internet could be reserved for "anything new." You're offering a new encryption standard on your Website? That's the private Internet. Got a new version of Halo? Private. A new 3D streaming service from Netflix? Private. Where would this proposal draw the line between upgraded Web services and those that are truly different "in purpose and scope" from what you can get online right now? 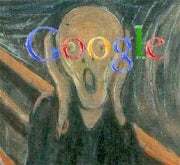 Google defends several other points in its blog post. The company says the net neutrality framework was not influenced by business decisions surrounding Android, Google's mobile operating system. The search giant also says this proposal is about moving the debate forward not backward as some have contended. You can find the entire post on Google's Public Policy Blog. Are you buying Google's defense or do you believe the company should reconsider its position? Let us know in the comments.